Is an exfoliating product that helps to renew gently the skin and it smoothes the skin thickening for a more uniform skin. We suggest to use it with GEOMAR Ocean Seaweed Mud or Creams against the unsightly sings of Cellulite for a valid and complete “remodelling”body treatment. MARINE SALT, POWDER COFFEE, VOLCANIC SAND: renew the skin thanks to the exfoliating action. 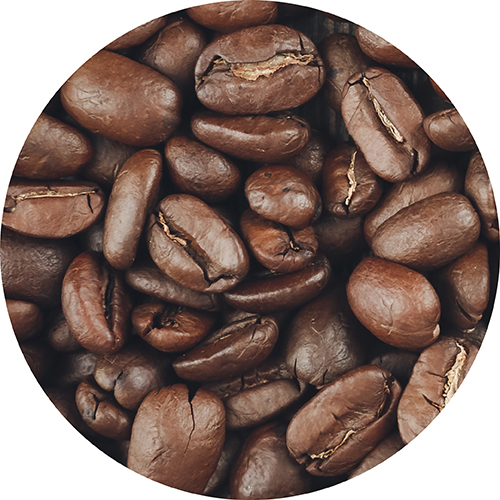 PHYTOEXTRACT OF GREEN COFFEE AND GUARANA: help to stimulate the microcirculation. PHYTOEXTRACT OF CAPSICO: helps to improve the circulation carring out a draining action. 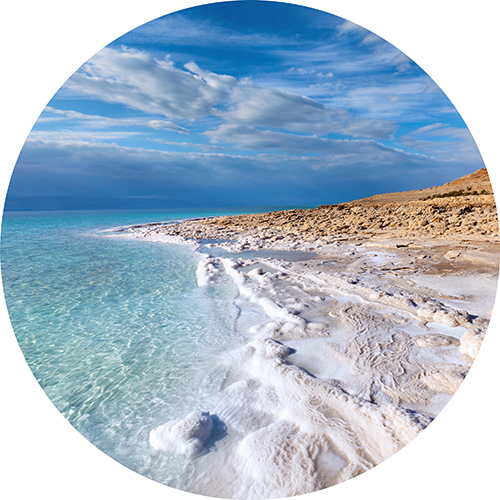 OLIGO ELEMENTS OF DEAD SEA: restore brightness and elasticity of the skin. Skin appears smooth, soft and hydrated. A constant use, thanks to the synergetic action of the massage together with the exfoliating elements and phytoextracts present, allows to smooth the skin imperfections, minimizing the wrinkles and helps to stimulate the microcirculation for a “remodelled” body. During the application, relaxing and enveloping vanilla and amber notes release, for an intense psychophysical well-being. Before each use, blend the salt and oil with the spatula to obtain a homogeneous consistency and color. The inhomogeneity of the product is due to the natural ingredients inside the formula. Once mixed apply the product on wet skin of the body and massage in a circular direction from the bottom to upwards. Leave it on for few minutes. Rinse thoroughly with warm water only, without use detergents, until the complete removal of the product. Sodium Chloride, Peg-7 Glyceryl Cocoate, Argania Spinosa Kernel Oil, Helianthus Annuus Seed Oil (Helianthus Annuus (Sunflower) Seed Oil), Butyrospermum Parkii Butter (Butyrospermum Parkii (Shea) Butter), Coffea Arabica Seed Extract (Coffea Arabica (Coffee) Seed Extract), Paullinia Cupana Seed Extract, Capsicum Annuum Fruit Extract, Coffea Arabica Seed Powder (Coffea Arabica (Coffee) Seed Powder), Volcanic Sand, Maris Sal (Sea Salt), Glycerin, Isopropyl Myristate, Propylene Glycol, Triticum Vulgare Germ Oil (Triticum Vulgare (Wheat) Germ Oil), Tocopheryl Acetate, Bht, Aqua (Water), Parfum (Fragrance), Hexyl Cinnamal, Benzyl Salicylate, Ci 15985 (Yellow 6), Ci 19140 (Yellow 5), Ci 42090 (Blue 1), Ethylhexylglycerin, Phenoxyethanol.